Andy Rubin, you coy devil. I suppose we could ignore those rumors about Google retail stores if you ask nicely and bat your eyes at us. That's what the head of Android would like us to do, anyway, as he spoke at Mobile World Congress stating that "Google has no plans [for a retail store] and we have nothing to announce." Why not, though? This sure sounds like a good idea to a lot of us in the Android fan world. Well, according to Rubin, people are able to make decisions about which phone they'd like to buy without actually seeing the hardware. They can go off of reviews from friends or your favorite website (hi, guys!) to come to a conclusion. Rubin is a brilliant man who has done amazing work for the Android world. However, it's difficult for us to stomach this idea that people don't want or need to get their hands on their potential devices before dropping several hundred dollars. Particularly when some of the most important people on the design team regularly echo how great Nexus hardware feels and how you have to hold them to really appreciate the experience. Of course, when a major exec says that a company doesn't have anything to announce, that may not mean that no one inside the company has considered the idea. The question may not be whether there are plans, but whether this is the right time. After all, Rubin himself said, "For Nexus, I don’t think the program is far enough along to think about the necessity of having these things in a retail store." When you consider what the Nexus line was like just last year, it's easy to agree. We've only recently arrived at a point where there's a full family of devices. The Nexus 4, Nexus 7 and Nexus 10 all seem like they belong together. Like, you could put them on a shelf next to each other and it would look gorgeous. They fit. They work. More could be done, though. For starters, we have yet to see a Google-built Nexus. That's something we never would've thought about before, but after the Chromebook Pixel arrived, well, we won't rule anything out. Oh, and of course there's Chrome OS. A Google store would have to have some Chromebooks laying around, but at this point the only one that seems to be of a build quality on par with the Nexus line is the Pixel. Read the rumors carefully and you get the impression that Google is batting around the idea of a physical presence, but isn't anywhere close to pulling the trigger. For my part, I'd be shocked if the company broke ground on some locations in 2013. However, early as it may be, once the idea is suggested that Google create a retail store (complete with bean bags and slides), the world seems bleak without them. 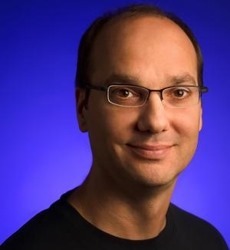 Andy Rubin may be honest when he says that Google has no plans for a retail store at this moment. We can only hope that the company develops some, though. It's just too good an idea not to pursue.